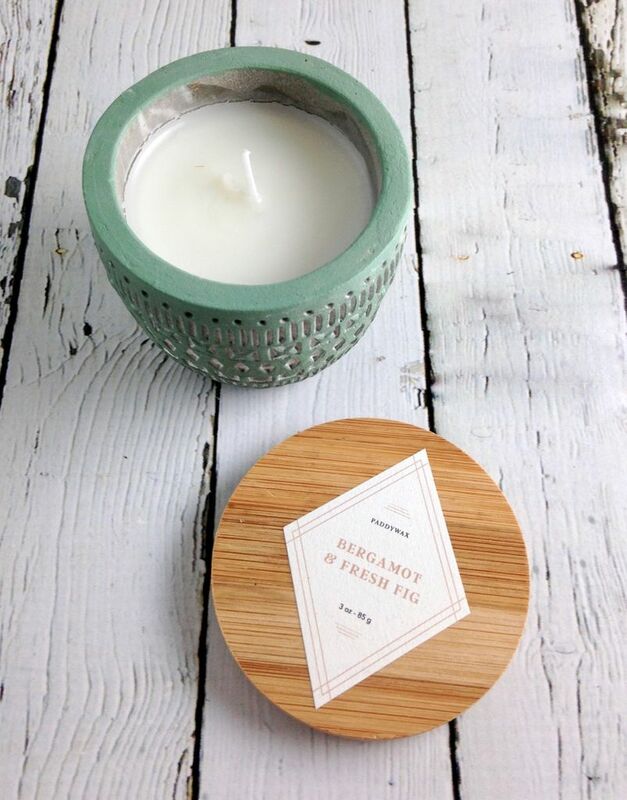 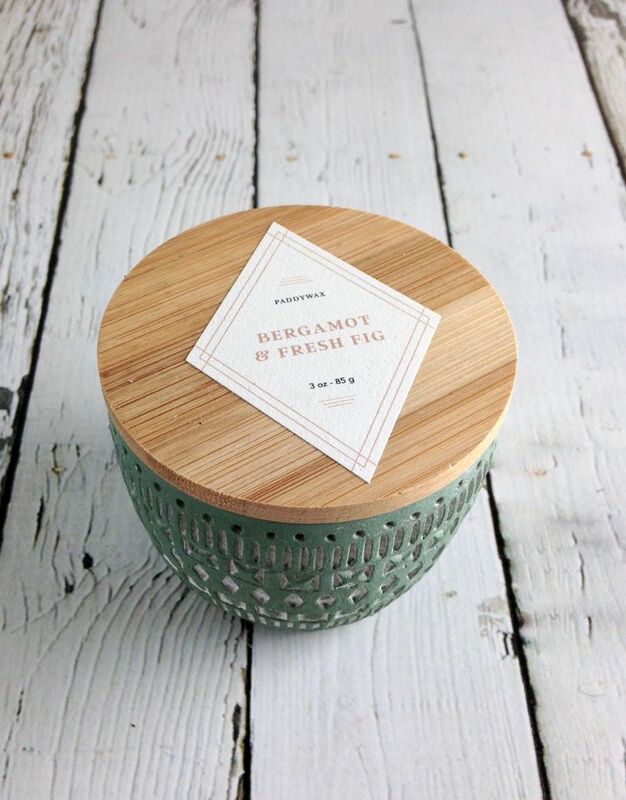 Bergamot & Fresh Fig 3 oz Candle from Paddywax. 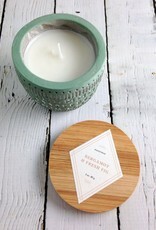 Features a deep bergamot and bright fig scent. 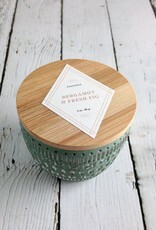 Concrete, hand painted vessel with wooden top.